Flitting around between school, dance classes, rehearsals and performances…It can be difficult to find the time to fuel yourself properly to best perform your craft. 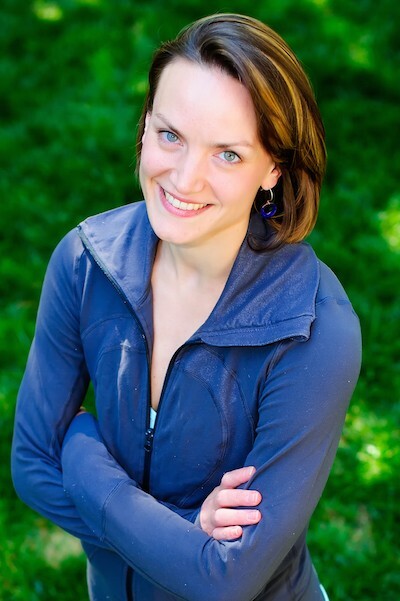 During my 15-year career as a professional ballet dancer, I found it pivotal to my performance to plan ahead and bring lots of healthy snacks that gave me tons of energy without ever causing me to feel too full to dance. When searching for a healthy snack, a good rule of thumb is to find one that will give you a healthy protein, a healthy fat and a healthy complex carbohydrate. 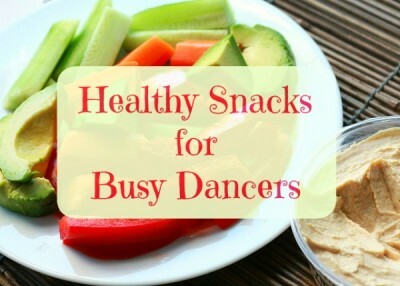 With this in mind, here are my top 10 favorite healthy snacks for busy dancers on the go! 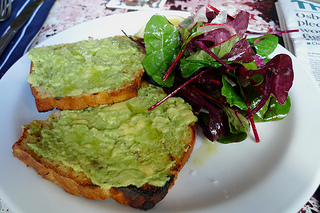 Toast 1 piece of good-quality gluten free or whole wheat bread, smear with half an avocado, sprinkle with salt and pepper and enjoy! Cover desired number of eggs with an inch of water in a pot with a lid. Bring to a boil on the stovetop on HIGH. Turn burner down to low and simmer for 7 minutes. Rinse in cold water. Peel, add a little salt and pepper and enjoy! Scrub carrots clean, dip in your favorite hummus and enjoy! Prepare your banana, apple slices or celery sticks, smear with 1-2 Tbsp. of your favorite nut butter (peanut, almond, cashew, sunflower, soy) and enjoy! Heat 2 Tbsp. of organic coconut oil in a large pot on the stovetop over medium-high heat. When the oil is hot put a kernel or two of popcorn into pot and wait for them to pop. Add ½ cup popcorn kernels, cover with lid and gently shake over the burner until it all pops – about 5 seconds – and enjoy! 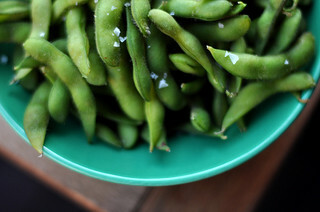 Boil edamame in a large pot of boiling water on the stovetop according to the directions on the package. Drain, rinse with cold water, sprinkle with a little salt, and enjoy! Mix together raw or roasted almonds, cashews, walnuts, pecans, sunflower seeds, pumpkin seeds, with dried cranberries, cherries, apricots, mango, pineapple…add a few dark chocolate chips and Voila! Your very own trail mix to enjoy! Make grains such as brown rice, quinoa or millet, ahead of time. Divide into small portable containers, toss with 1-2 Tbsp. good quality olive oil, a little soy sauce to taste and, if you like spice, try adding a little Siracha sauce (can be found in the Asian section of most supermarkets). Take a spoon with you and enjoy! Take thin sliced oven-roasted chicken/turkey breast and lay flat. Put 1 piece of good quality cheese in the center, along with a slice of avocado and a slice of cucumber…roll it up and enjoy! I’m a professional ballet dancer and these foods are pretty much what I eat. They all are very nutritious and extremely good! It doesn’t feel like I’m eating too healthy since the taste isn’t bland at all. i am a folk dancer and food number eight is my favorite, i also eat lots of avacado , eggs, veggie and chicken breast which is really quite nutritious and healthy, and these are quick fixes for dancers on the go. I find Greek yogurt, humus, alpha sprouts on a thin tortilla, small portions of dark chocolate and lots lots of water! Excellent article. There is a little something for everyone and every taste. Will pass this one on. Thank you.